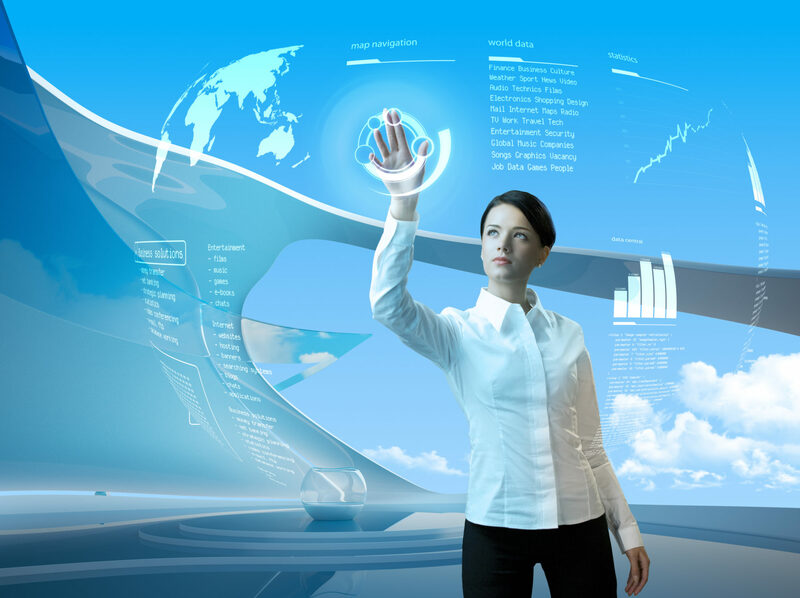 Napkin Technologies', “Business Technology Express” (BTE) Enables employers and clients take technical and business thoughts, ideas, concepts and plans from the back of a napkin to a strategy and a reality! WOW, it’s already been a year since I started the and completed IBM training on BluePrism® Robotic Process Automation software as a special project for an account. Later this month, I will be working with Python and Raspberry-pi for completely different robotic and IOT concepts at Palm Beach State College. Unlike in “The Terminator”, RPA Robots will never become “Self Aware”! !, WHY? Because they are simply intended to do as the name states in reverse. 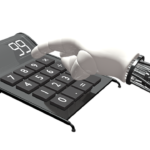 Automate, Business Processes via Software Robots. Refined once more, an RPA robot simply executes the repetitive keystrokes, Mouse movements and clicks with logic that executes business a “well defined business process. Many enterprises have employees executing business processes at a keyboard, opening an application or spreadsheet, evaluating that data and moving it to another application or pressing an approval button. Spending 2, 4 or 8 hours a day using Copy/Paste, entering a few keystrokes and moving and clicking a mouse. In the scenario above, the best case is 2 hours of a resource is being diverted to a lower productivity task and worst case is a full time employee is required. Opportunity exists for potentially high and quick ROI. What if, a software tool (Robot) could do the same thing ? One time cost to write the robot (let’s pretend it doesn’t require update and maintenance). It frees up an entire resource for other duties or frees up 2-4 hrs of an employee to do higher level more productive tasks. Robots can be run at night, weekends several times a day, more quickly, with less human error and reduces costs of mistakes. One just needs to do the math, what is the current labor cost of the resource-cost of developing and licensing the robot. So that’s the Idea in a nutshell. I suggest reviewing the Everest Research Group RPA report or the Gartner report as a ready reference for more detailed information about RPA and Vendors. 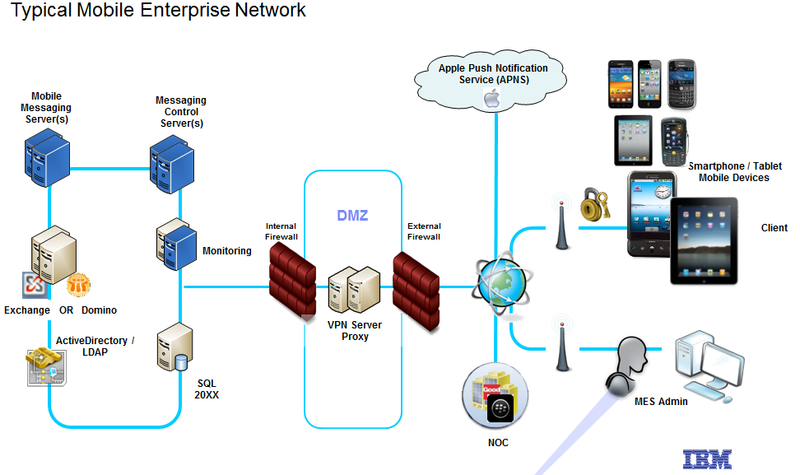 My teams focus was Enterprise Mobility Services. So, how I did I get involved with RPA? A multi-disciplined account team was proactively engaged with a client to address ongoing requirements. The account was looking more for early identification of issues and proactive action as opposed to saving labor. 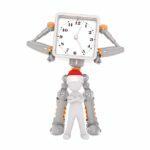 the client had seen some presentations and the question came up, could several their few to several hour time consuming tasks be automated? I was the only one on the greater immediate team with a Software Engineering background to provide assistance. Working with a few RPA tools was fun. It took me back to my programming roots. I had to quickly learn a few RPA tool’s develop, assess scenarios, create a few prototypes and make recommendations. It came down to a comparison between WinAutomation® and BluePrism to recommend appropriate solution for the accounts projects. Actually a few of the tasks while easily done in RPA were quite simple and Windows OS related that they were done in Shell Script and the more complex tasks left for WinAutomation or BluePrisim. The example above demonstrated that the appropriate choice can be radically different based on what the robot is expected to accomplish, the repetitive action applications they solve, infrastructure, the complexity, skill required and cost. The cases where scripting were used are examples. BluePrism provided a greater set of capabilities with deeper integration with applications and processes that benefit from optimization. However, it required more effort, greater skill set and a greater cost per instance of a Robot. 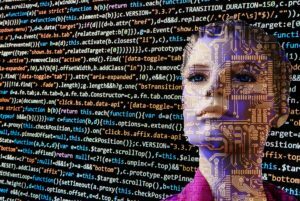 WinAutomation was easier to work with, required less skill to develop but had limitations in standard capabilities and not as rich integration with applications and processes that benefit from optimization. However, much less expensive. While creating ‘Robots’ using Robotic Process Automation tools is not typical software programming (my 1st love), it does use many commonly used algorithms, constructs and logic typical of traditional programming. This can be seen in the 2nd part of the 3.5 minute video where robot is repeated in single step mode where the code in the tool takes the form of a flow chart including moving to a new chart, calling a subroutine…….. Depending on the skill of the learner, RPA’s “can” be learned very quickly. I believe at one time BluePrism made the claim you don’t need trained programmers to implement robots. However, unless you purchase development services, you do need BluePrism accredited developer which assumes 3 months training and 6 months to become a professional. I would say a good programmer or process engineer would make an Excellent ‘Robot’ Designer. With RPA you can do amazing things and free up expensive resources doing, needed, labor intensive, brute force tasks to do other things. Both of the RPA products BluePrism and WinAutomation are good and it was a fun challenge to create a few robots. The brief 3.5 minute video below is a screen recording of a sample training scenario where a BluePrism Robot automates the tasks of a worker opening a daily spreadsheet of orders and enters them into an order processing system, even calling out errors. Hopefully, this BTE brief was helpful,the short video brings RPA into a little better perspective and will be helpful to you. Please leave comments below and LinkedIn, or contact me on LinkedIn. It has never been about the device! To be current, MDM’s, Mobile Device Management systems have evolved beyond Mail, Calendar and Contacts into Enterprise Mobility Management (EMM) Suites by including Content, Access and Application Management with Device Management at the cornerstone. However, one simple fact remains, it has never been about the device. It has always been about the data. What data can be accessed? by whom? How can it be done to ensure integrity and security. This becomes absolutely obvious in events that occur every day: a device is accidentally dropped in the dishwater, is fumbles out of your fingers and breaks on the concrete, or is run over by a car. At that point, do we really care about managing the “device”? No, from an individual perspective we really only care about the inconvenience but mostly that we may have lost contacts, pictures and other data that can’t be restored to a replacement device. The Enterprise concern about a “broken” device is replacement and lost productivity. A security issue does not exist. An enterprises main concern is about the device that’s lost, stolen or compromised so things like this can’t happen. We all have moments where we temporarily misplace a device or it falls between the bed and night stand. That’s why there are apps to to have the device ring out, come find me. But, at the point that we frantically discover our device is truly missing, lost or stolen the action we take is is to immediately request that the device be remotely disabled, data wiped and service canceled. The answer proves once again that it’s not the the device itself that’s important but the data it contains and can access. We’ve already established that what’s on the device that can’t be restored is more important than the physical device itself. What is of real concern is what data can be accessed or transferred by the device, in the right or wrong hands. An understanding of how to manage, secure and protect a device and it’s data. 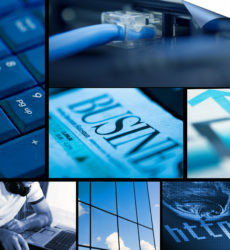 To understand the business, it’s data, concepts and assets that need protection. To adopt a business strategy determine the processes and data to extend to mobile employees. A mobile strategy to utilize the most appropriate software, tools, methods and devices to securely implement the business strategy. Understand the various employee roles and associated access needs to business processes, applications, data, and the protection needs for corporate and employee owned devices. Discussing MDM is not really much different than when friends and family who know I work at IBM ask me, “What computer should I buy?” or “What’s the best smartphone to get?” My first question to them is, “What to you want to do with it?” For my wife and a couple of cousins, a mobile device is only used to make phone calls. No texting, no apps, nothing. For them, why get a smartphone and data plan? Another cousin wants a device to support her medical research. In that case, how about a reasonably powerful laptop with sufficient storage? 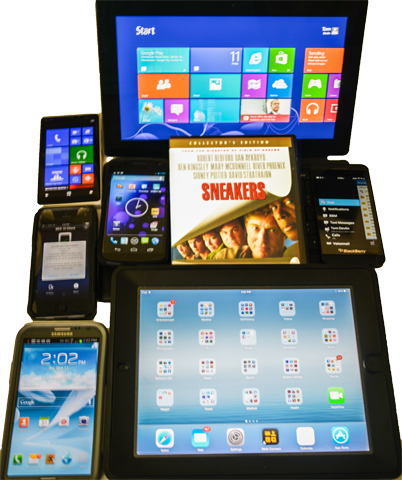 Again, It’s not about the device—the phone, smartphone, tablet or 2 in 1 computer. It’s about you—what you need to do as an individual or business, what data and applications you will be working with, what and how much needs to be protected, who needs access, where and when. These things will be the foundation of a strategy, which will determine the applications and supporting software infrastructure needed, which will determine which devices best render that data to your employees and customers, which will lead you to the MDM solution that allows you to seamlessly provide protected data to those who need it, where they need it, when they need it. Its the same with MDM, the enterprise needs to control or manage “the information”, the data, it’s content and access. I helped establish these services while at IBM using IBM and Vendor MDM/EMM tools. It was “Cosmo’s” dream come true, “It’s about who controls the information”, and with MDM/EMM’s, YOU manage, protect and control the enterprises information. To learn more, ‘Gartner’ typically a publishes an MDM (now EMM) report annually called the “Magic Quadrant” containing details about product and service providers. A free copy of the current (2016 )report can be viewed at this link or from EMM Vendor websites. I hope this was helpful, Please leave comments below or contact me on Linkedin or any means appropriate for you. 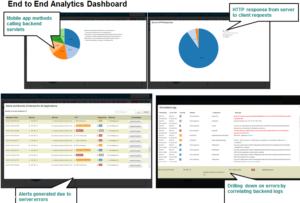 Enterprise Mobile Analytics, Should I care? Often when we hear the word “Analytics” it is associated with “IBM Watson”, “Jeopardy” and the advances in cancer research and healthcare. This article discusses Mobile analytics. What are mobile analytics? The quick answer: done right, mobile infrastructure analytics provides an end-to-end (view of mobile user experience such that trouble areas can be easily identified and proactive steps taken to correct them. Note: Web Analytics is similar but traditionally assumes desktop browser access as opposed to a device which has a smaller screen. Web analytics doesn’t address issues where a user may have had to rotate the device to see more clearly or or how often had to use fingers to enlarge an image. 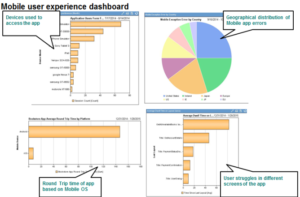 Should you care about mobile analytics for the enterprise? Is your enterprise planning to implement mobile applications in the near future? Does your business rely on the use of mobile applications by customers? Does your help desk get frequent calls about mobile apps not working? Are you losing business or consumer transactions because users are having difficulty and abandoning the application or cart? Would you even know? If you said yes to any of the above, then yes, you should care about mobile analytics! Not having good analytics tools could mean losing business, money and reputation in the market. 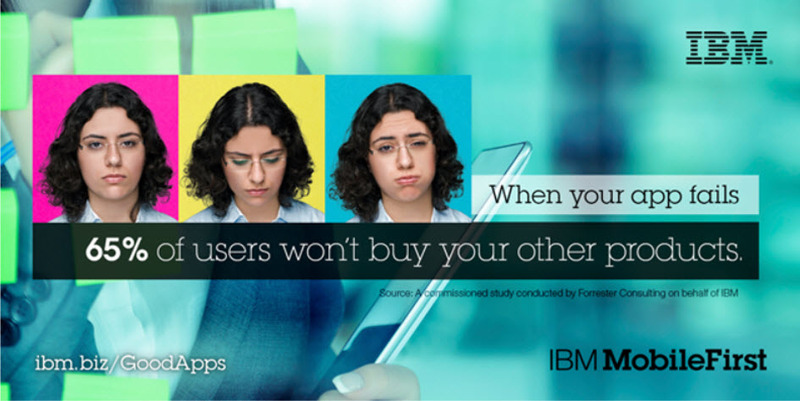 Your customers or employees may be avoiding adoption of applications because of bad experiences using your app—experiences that could be corrected and prevented using mobile infrastructure analytics. Let’s start at the beginning. I’ve been around (some say forever) in computing for over 33 years and mobility for 17. I’m still a bit old school, and I don’t use apps as much as folks of more recent generations. Because I don’t use them frequently, it’s much more disturbing. Some applications seem to randomly return errors, crash and need to be opened again or even require a device reset. When this happens, I usually delete the app and attempt to get money back where applicable. I have always held that if it’s happening to me, it can and is happening to others too. That said, Millennial’s have grown up with “apps”, expect them to work and may be less tolerant and less loyal to brands. When a user deletes an app, What does this mean for the enterprise? An online merchant loses customers and sales as carts are abandoned. If it’s a standalone app, the app doesn’t make the sales it should or if free doesn’t get the pass-through advertising or other revenue it should. If it’s an enterprise app, it is not adopted by employees and they work around it or lose productivity. Where’s the app failure coming from? As I wrote in a previous post, there are in the mobile infrastructure: enterprise, security, Internet, and user. All four zones must be working properly for the successful daily use of mobile devices in the enterprise. However, they are not all under the control of the enterprise, and a failure of any one of the elements in a zone can cause problems. The app on the device and the app server are only two pieces. I can’t count the times that I’ve been handed an iPhone or iPad by a family member saying that Facebook, Pinterest, email or a shopping app isn’t working. In most cases, clearing the error message and trying again gets everything working fine. The app no longer fails, data comes back from the server, and therefore the error was in between. Such as, the local ISP or a load balancer at the enterprise and not app or site itself but, giving the app, app provider or IT team the black eye. Not to mention, my having to try to explain. The app hangs or takes forever to respond! The app went away and I had to reopen it! I keep getting an error message! Mobile application administrators and help desks hear these statements day in and day out. At any point of failure, even those outside the control of mobile IT, the app gets the blame because the user’s perception is that the application or server isn’t working. Until recently, enterprises had no end-to-end view of how an app was performing or if something was causing it to fail to perform in the users’ eyes. All of this data and much more can be collected and and presented grapically to help companies understand the mobile user experience and provide insights for improvement. Mobile infrastructure analytics correlates the errors seen by the user to events and errors in the infrastructure allowing administrators to proactively respond, correct and prevent additional issues. Mobile analytics predictive capabilities can generate alerts that a problem is coming, and administrators can stake actions to prevent users from ever being effected. This is what mobile analytics means and why you should care. Hopefully you now have a better understanding of mobile analytics and why it’s important for the enterprise. If you have more questions about the value of analytics, leave a comment. 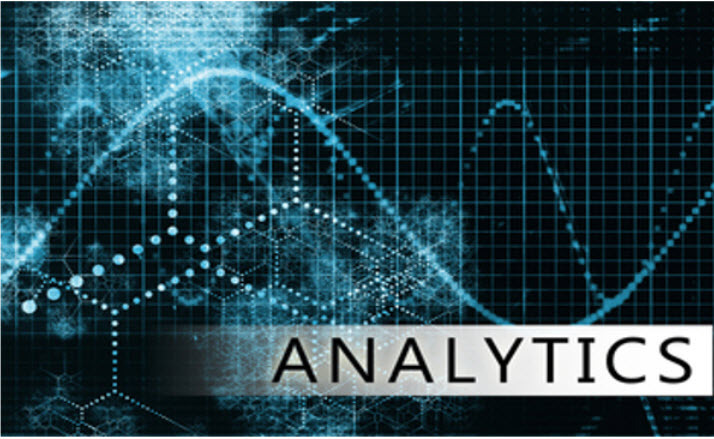 In fact, there is no reason to shy away from the topic of analytics, and I will tell you why. First, believe it or not, you already understand analytics. How is that? 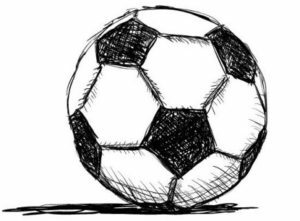 Let’s take a look at some analogies that provide an easy way to relate the concept, starting with sports. As a kid, did you ever have to choose sides for a game of soccer, football or dodgeball? Well, you or the captain used analytics to pick players. The data points were assumptions—right or wrong—based on individuals’ gender, size, strength, speed and past game experience. In essence, you were performing analytics with real or simulated data and associated attributes to pick players. Or think about the draft in fantasy football. Why do you pick players? Because of their stats. You know the rules and how points are assigned from play each week. Midseason trades too—these are all based on analytics. How did you choose your last car among the various alternatives? Gas mileage? Reputation of the manufacturer? Repair history? Cost comparison? It’s all analytics! Have you ever picked up a copy of Consumer Reports to help pick out a washing machine, entertainment center, kids cereal or something else? Yup, that too is analytics. In simple terms, mobile analytics is very much the same. Like choosing sides for a game, picking fantasy players, or guessing which teams will make the final four, you, your staff or trusted vendors decide what attributes of your business infrastructure relate to mobility and should be tracked and measured. Then tools, such as IBM Tealeaf or AppDynamics, do the heavy lifting (all the math and calculations) so that you take the insights from your graphically represented customized dashboard of qualitative data instead of Harvey Balls) and transform them into actions that will improve customer experience, reduce customers abandoning the site and increase sales. What do mobile analytics look like in real life? Turning to a more practical example for discussion: say your company has had a website presence and maybe even a web storefront for sales. You’ve enabled it for mobile devices or even created a mobile app. Maybe you’ve also developed a mobile application for employees to conduct daily business. How are the employees doing? Is the help desk getting calls? Are customers returning to the storefront, completing purchases or abandoning carts? Where do they spend their time when browsing? Where do they experience trouble or give up? Are sales appropriately distributed across the population of device types, or are more transactions completed by tablet than phone? This is where mobile analytics tools and services do the heavy lifting and provide you with actionable intelligence. Mobile analytics can let you know what’s working well and what is not, with specific insights to why. In particular, for the enterprise, AppDynamics, SAS, IBM Tealeaf and Cognos , are Analytics technologies can provide dashboard graphics that can be drilled into to determine measures and quantify the data to answer your questions. Did a customer abandon a cart because the network was slow, there was an error or they were just looking? Maybe they bailed because they couldn’t really see what they wanted on the smartphone screen. With good analytics tools and service, you can see what your customers did, when they did it and sometimes even why. In addition to helping with user experience, IBM Infrastructure Analytics Services can correlate user events with network and back-end server logs to determine if there was slow response time or even an error that caused the user to abandon the cart or application. From the measurements, the analytics software can proactively generate alerts for infrastructure issues so they can be corrected before the customer or employee experiences a problem. You’re already familiar with analytics! There is no mystery to it. Implementing analytics mobile or otherwise for your enterprise is simply a matter of knowing the important stages of application use, what’s important important to measure, and letting the tools or a service do the heavy lifting. Without additional Hardware, Software and training, an analytics service can provide you with a graphical view of that critical data and help you correlate user behaviors in your mobile application in real time. With predictive analytics help achieve better understanding of usage patterns, abandonment, availability, performance and capacity allowing you to make needed adjustments to meet business goals. Or a service can “host” the heavy lifting while your staff implements the capture and reporting for actionable decision making. Please leave comments below or contact me for further discussion on LinkedIn. Analytics continues to improve by leaps and bounds. Processing power, data storage capacity, types and amounts of data collected, methods of analysis and presentation to take meaningful action. I narrated and completed a video on my own time in 2015 (in part to learn Camtasia Studio and Tealeaf). It was placed and still hosted on YouTube by IBM. 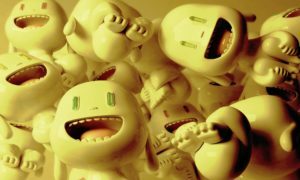 Some some images were provided by colleagues. 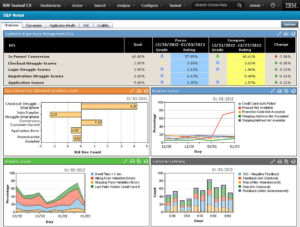 Other images are actual IBM® Tealeaf®screen grabs of data. 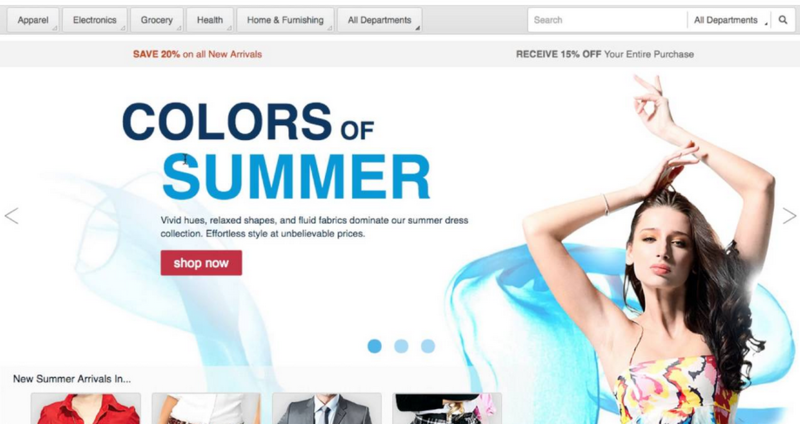 “Color of Summer” is from a current IBM Watson/Tealeaf CX Analytics demo on You Tube analyzing why web shopping carts are abandoned. This was a very simplified but practical example of using real time mobile analytics and hopefully, analytics a little easier to relate to and given you some insight to mobile analytics and how tools can provide actionable insights into your mobile application infrastructure, performance and your customer or employee user experiences. Please refer to the About Napkin technologies page.